Getting a teen who’s pretty much always glued to their phone or PlayStation to play outside might not be an easy task. And asking them to just go outside and play will probably never work. If it does, great. But most kids will shrug it off and go back to playing the newest video game online. Rather than making a drastic change by ordering them to stay outside all evening, you can start small. You can add a few walks around the neighborhood or a nearby park every week and soon enough they will begin to appreciate the beauty of nature around them. You can also take toys they already enjoy inside the house outdoors, so they will essentially be playing with the same toys with a slight change of venue. One of the biggest perks of playing outdoors are the endless possibilities of running, playing hide and seek, swimming or even exploring. While children are pretty good at coming up with activities and games all by themselves, you can always guide them and interact with them. Encouraging them to explore outdoors will help them to adopt creative new hobbies like collecting rocks and flowers and identifying different species of birds and butterflies. 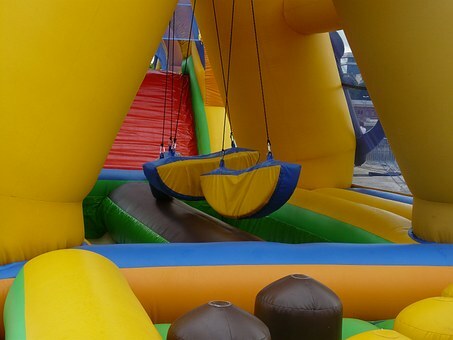 If you have enough space in your backyard, you can invest in toys that children will enjoy for a long time; jumping castles castles hill, lawn water slides, pools and even inflatable pools will not just be a fun-filled addition to your backyard but one that incorporates exercise to your child’s life. Children tend to stay indoors when they have no one else to play with. While you might be the fun parent who’s always available for a game of hide and seek, most children like to play with those of their own age. And this isn’t something you should deny or discourage. Playing with children of their own age can be a great way of making friends and improving their social, communication and negotiation skills. If you child has siblings or cousins, then by all means, encourage them to play outside together. You can also invite friends and classmates over to play with your child. This might be just the incentive they need to enjoy playing outdoors. How To Construct The Concrete Garage? Here Are The Tips?